AS SEEN ON ABC (easter) The Nations Favourite bedtime story is being brought to life in an all star beautiful adaptation of the best-selling book. 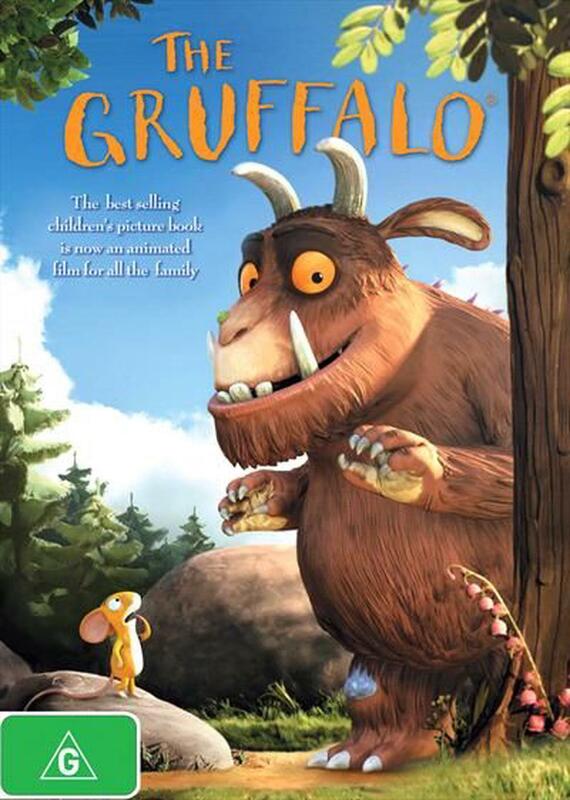 The film's all-star voice cast features Robbie Coltrane as the Gruffalo; Helena Bonham Carter as the narrator; Rob Brydon as the Snake; James Corden as the Mouse; The Gruffalo tells the magical tale of a mouse who takes a walk through the woods in search of a nut. Encountering three predators who all wish to eat him a fox, an owl and a snake the plucky mouse has to use his wits to survive, creating an imaginary monster who then turns out to be only too real.